Sailors from all over are making a difference by preserving our favorite resource, water. One small but significant step to reducing the sailing footprint started at the college level. 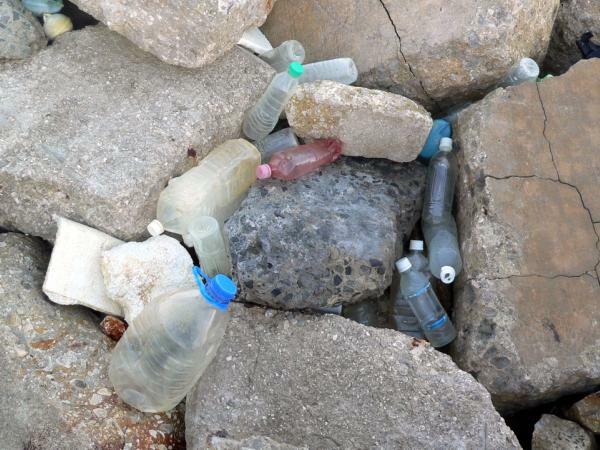 Since most plastic bottles are only used once and thrown away, the ICSA ( Inter-Collegiate Sailing Association ) has implemented an initiative to curb the 25,000+ plastic bottles that are used each season for ISCA regattas. The main reason they have implemented the use is to reduce plastic waste from the landfills, oceans, and the environment in general. Another reason is cost, the cost of single-use plastic bottles of water is up to 10,000 times the cost of tap water. Most University sailing teams are in a constant battle for funding and any money saved makes a huge difference. In addition, bottled water does not undergo the same quality testing that tap water does, making tap water safer to drink. 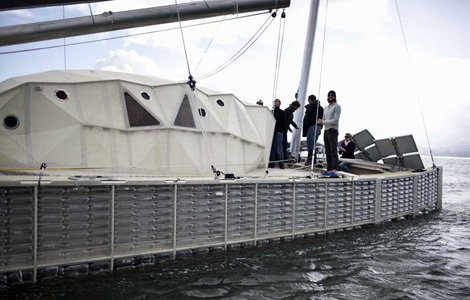 Last year on March 20th a 60-foot catamaran called, Plastiki set sail from San Fransisco headed to Australia. The catamaran was not your average sailing vessel. Plastiki was made primarily out of 12,500 recycled plastic bottles. The same amount that is thrown away every 8.3 seconds. The mission of Plastiki was to show the world the magnitude of plastic waste and to raise awareness about recycling and being more resourceful with waste. The Plastiki project took 4 years to complete before the crew was able to set sail. Many were skeptical about the mission across the Pacific on floating plastic bottles but on July 26th the weary crew arrived in Australia putting all the speculations to rest.